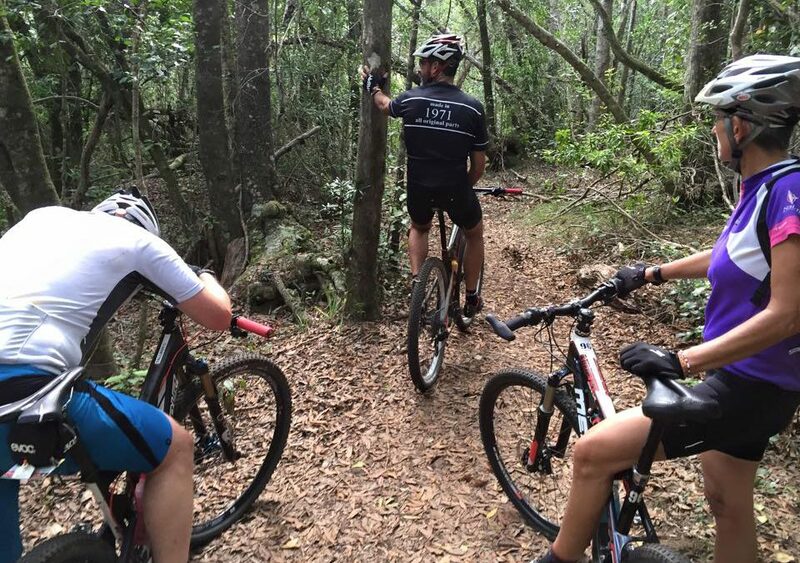 We love cycling in Knysna. During the week there are regular sessions on Tues ,Wed and Thurs of approx. 20-35km. In winter lights are needed as we will get back in the dark ! These will vary in technicality depending one who is riding – taking you into our beautiful surroundings and find hidden gems of single track ! Please remember to purchase your MTO permit (purchase at bike shops ) , as this is where we mostly ride. To keep up to date ask to join our group Whatsapp ( phone us at the shop to join 044-3825153 ). At weekends longer rides normally take place 50km+ . You may also need your yearly or seasonal Garden Route National Parks tag (purchase at GRNP office on Thesen Island ) if rides are organised through Sanparks routes . We will not race and you should enjoy a pace where we can catch up with old cycling friends. So join us for the adventure.